FDs are attractive financial instruments for depositors looking for attractive returns and high safety. FD interest rates in Axis Bank range from 3.50% p.a. to 7.10% p.a. for deposits with a tenure of 7 days to less than 365 days. These deposits are known as short term deposits as they have a tenure of less than 1 year. Short term Axis Bank FD rates for senior citizens range from 3.50% to 7.35% p.a. Axis Bank FD interest rates for long term deposits with tenure of 5 years to 10 years offer good returns. Axis Bank fixed deposit rates for deposits with a tenure of 10 years is 7.00%. 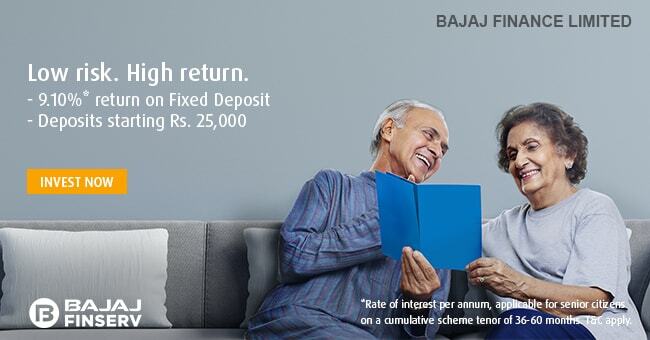 Senior citizen are offered deposit rates of 7.50% p.a. for long termed FDs. Axis Bank offers best FD rate of 7.95% on term deposits for a tenure of 1 year 11 days to 16 months 29 days. The bank offers special interest rate on FD for senior citizens. Current Axis Bank FD rates for senior citizens range from 3.50% to 8.50%. Fixed Deposits rates of Axis Bank are a function of many factors such as monetary policies of RBI, economic growth rate, credit demand and liquidity position of the bank. Under this scheme, the bank provides the flexibility to choose between Single holder Type Deposits and Joint holder Type Deposits. 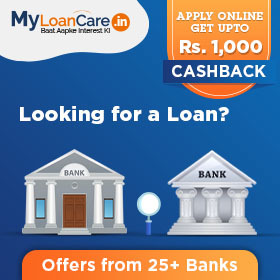 The interest rate on this scheme depends upon the category of applicant applying under this deposit scheme. Under this scheme, the customers will earn a higher rate of return on their?fixed deposit?investment as compared to regular term deposit rates. 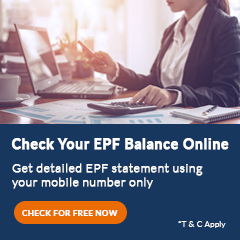 This deposit scheme offers dual benefits of the liquidity of a savings account and high earnings of a fixed deposit. Axis Bank fixed deposit calculator helps you to calculate maturity value of your deposited amount at the interest rate offered compounded at quarterly. The amount of fixed deposits, interest rates on FD, deposit tenure and compounding frequency of interest together determine the maturity amount of the FD at the end of the tenure. Deposit amount – This is the initial amount deposited by a customer in Axis Bank. Bank may allows higher interest rate on larger deposits. Axis Bank offers deposit amount in the range of Rs. 10,000 to No Limit. Rate of Interest - Interest rate is the rate charged by the bank on your fixed deposit. Axis Bank offers a higher rate of interest on fixed deposits of longer tenure and lower interest rate on deposits of less than a year. Highest interest rate offered by Axis Bank is 7.95% for deposit amount below Rs. 1 crore corresponding to a deposit tenure of years months days to years months days . Period of deposit - Bank offers low interest rate for short tenure FDs and higher interest rate for long tenure FDs. Bank offers a rate of 3.50% for a 7 Days FD and a rate of 7.00% for a 10 Years FD. Axis Bank calculates quarterly interest on its fixed deposits. Premature closure of Term Deposit with Axis Bank is along with the lower interest rate of 1% than the contracted rate. The penal provisions for premature closure on Axis Bank FD are subject to change from time to time and may also vary with deposit schemes. Illustration - Mr. Rahul has opened a fixed deposit of Rs. 100,000 for 2 years in Axis Bank. The borrower later decided to take loan against his FD. The bank has approved a credit limit of 90% against his FD at 10% interest rate. Now, if the borrower draws Rs. 90,000 on the first of the month and then repays the money on the 1st of next month, then he is supposed to pay the interest on Rs. 90,000 availed for 1 month only. The amount he repays after 1 month is Rs. 90,744. So, the interest charged on the loan taken is Rs. 744. What is the highest FD rate for Axis Bank? You can earn a maximum interest of 7.95% on Axis Bank fixed deposit. Are there any special rates for senior citizens FD of Axis Bank? Yes, senior citizens get a higher rate on their deposits compared to FD rates. The rate of regular FD are in the range of 3.50% to 7.95%. Compared to this, the rate of senior citizens FD are in the range of 3.50% to 8.50%. What is the tenure range for Axis Bank Fixed Deposit? Is there any minimum amount that I have to give for opening a Fixed Deposit with Axis Bank ? The minimum deposit amount required to book an FD with Axis Bank is Rs. 10,000.
Who is eligible for opening an FD account in Axis Bank? What documents are required to open an FD account in Axis Bank ? The documents required to open an FD account in Axis Bank includes Passport or Driving License, 2 Photographs. Is it possible to change the tenure of my existing fixed deposit account with Axis Bank ? Private sector lender, Axis Bank is offering an interest rate of up to 8.4% on fixed deposit (FD) below Rs. 5 crore and above. A depositor can start his FD in the bank by depositing an amount as low as Rs. 5,000 via internet booking and a minimum of Rs. 10,000 if booked via Axis Bank branch. Private sector lender, Axis Bank has revised interest rates on domestic term deposits with immediate effect. Axis Bank has announced an upward revision in the interest rate on domestic term deposits for an amount less than Rs. one crore across various tenors. For 7 to 14 days the rate has been revised to 3.50%, and for 5 years to 10 years, the rate has been revised to 7.25%. Axis Bank has revised the interest rate of fixed deposits on February 1, 2019. The interest rates have been hiked for fixed deposits less than Rs. 1 crore only. Interest rate of fixed deposit with 5 years has been hiked to 7.25% earlier it was 7.00%. While the rates for 1 year has been hiked to 7.30% from 7.05 % respectively. Private sector lender, Axis Bank has increased its interest rate on fixed deposit below Rs 1 crores, for the selected maturities. The Interest rate on FD with a maturity of one year to less than 2 years has increased to 6.80%, which was 6.70% earlier. For senior citizens, the rate has now been revised to 7.30% from 7.20% earlier. Similarly, for 2 years to less than 3 years will fetch an interest rate of 6.80%, which was 6.75% earlier. The revised rates are effective from December 1, 2018. Axis Bank has revised its interest rate on retail fixed deposits or FDs below Rs. 1 crore, for the selected maturities. The Interest rate on FD with a maturity of 46 days to less than 6 months has increased to 6.25%, which was 6.00% earlier. For senior citizens also, the rate has now been revised to 6.25% from 6.00% earlier. Similarly, for 6 months to less than nine months will fetch an interest rate of 6.75%, which was 6.25% earlier. For senior citizens, the new rates are 7.00% against 6.50% earlier. The new rates are effective from August 21, 2018.